When you go to bacon and beer breakfast, you know you are in for a great time, guaranteed. It’s a bonus then when you come across a great beard to go along with your bacon and beer. 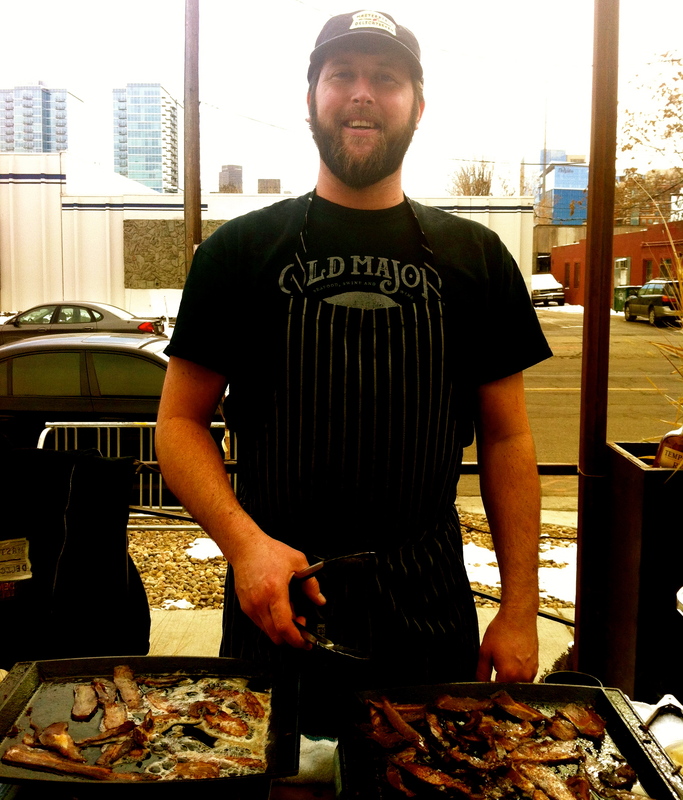 Met Casey, who was serving up tasty bacon from the Denver Bacon Company at the Denver Beer Company’s beer and bacon breakfast on a recent gorgeous Saturday morning. Casey, who is the Chef De Cuisine at Masterpiece Delicatessen in Denver, has had this beard for teh past seven years. Casey’s called Denver home the past nine years, and originally hails from the Cedar Rapids, Iowa area (thus the love of bacon is not surprising). We liked Casey even more when he told us he hasn’t been clean shaven since he was 19 years old–start man. Casey’s sweetheart loves his beard (wise woman) and his two brothers also have the ability to sport beards, but don’t always keep them–mayabe they’ll be more encouraged now!